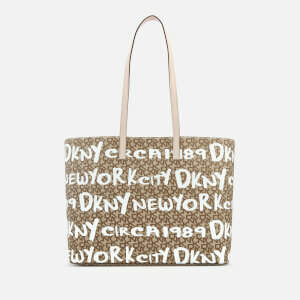 Women's faux leather tote bag from DKNY. 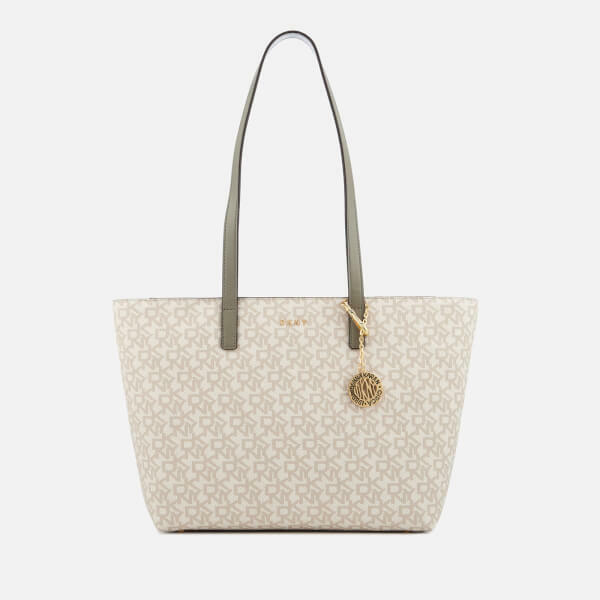 Crafted from logo-printed PVC with genuine leather trims, the medium 'Bryant' tote features a top zip fastening that opens to reveal a spacious, lined internal with single zip pocket and two slip pockets for extra storage. 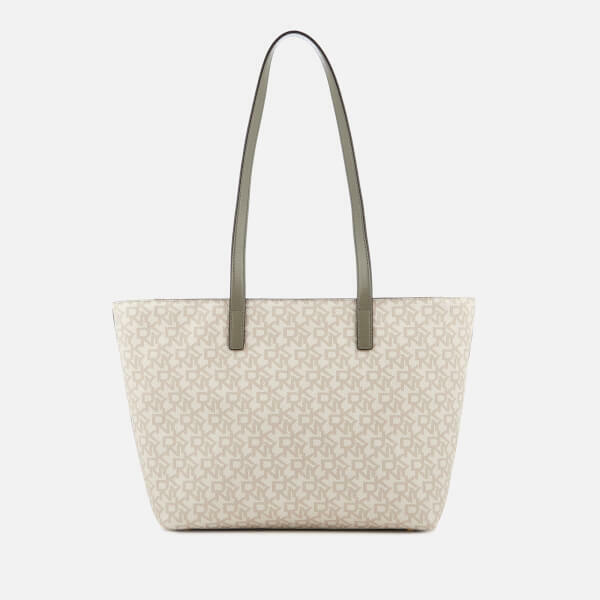 For easy carrying, the bag is equipped with two flat grab handles that can be worn on the shoulder or in the crook of the arm. Complete with signature gold-tone branding to the front, a removable logo charm and protective metal feet to the base. Dimensions: H: 24cm x W: 38cm x D: 10cm. Handle Drop: 28cm.